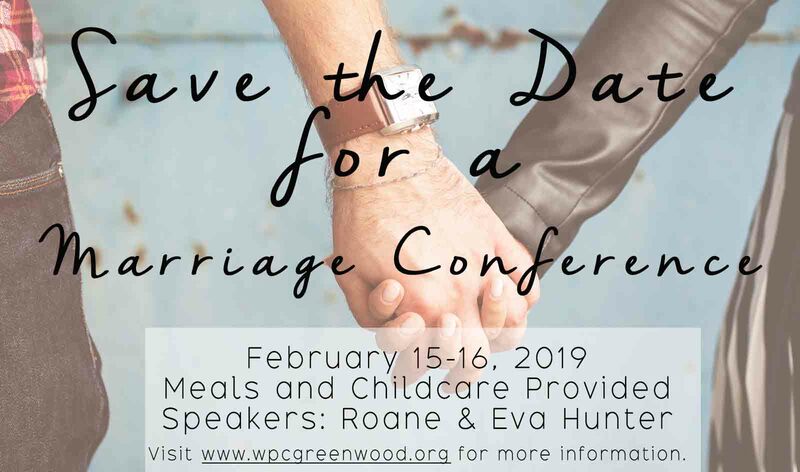 Mark your calendars for a Marriage Conference! Counselors Roane and Eva Hunter will be coming to Greenwood on February 15-16. You won't want to miss this FREE event! Meals and childcare will be provided. But space is limited, so click here to register before February 10th.